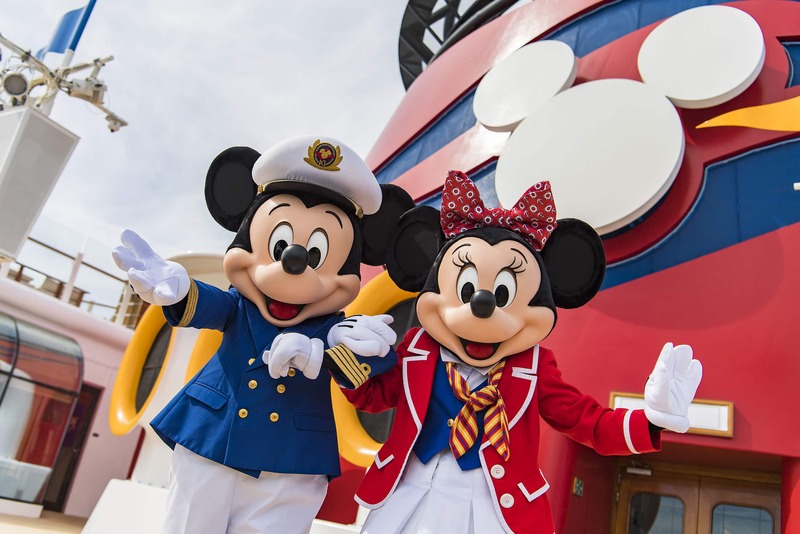 In case this is your first cruise, here is what I was not prepared for on the Disney Cruise Line that hopefully will help you feel a little more prepared for. This being our first Disney Cruise, and the first cruise altogether, there were a few things I was not prepared for. Pack sunscreen for the drill. Just saying. I honestly was not expecting the assembly drill to take as long as it did. It wasn’t a terribly long wait, but we stood in the direct sunlight for a bit. As I hinted to above, I highly recommend ensuring you’re slathered in sunscreen before heading to the deck. The bathroom is actually separated into two. There is an area for the toilet, some shelving and sink with mirror. The next room over is the shower with another sink and mirror. This was rather nice for when someone needed to shower or use the restroom and not feel cramped. I’ll say that I questioned the handlebar in the shower at first. A great safety measure for those who need assistance but I quickly realized it was for more than just that. When the boat is rocking while showering, hang on. I’d also note that the shower heads are a little lower than what I am used to. I am about 5’7″. They are removable, so that made it easier to wash. I had heard from others that the Staterooms are not spacious. While we had a Deluxe Verandah Oceanview Stateroom, which could have made all the difference, I didn’t find it cramped. We had eight carry-on pieces of luggage and small stroller. I was able to store them under the bed and in the closet without issue. There were also a good amount of hangers and space to hang clothing. Curious what a stateroom might look like aboard the Disney Wonder? The living room space was to be expected on a ship. It wasn’t large, but I think there was enough room to relax. The couch turns into a bed in the evening with the option of the top bunk coming down from the ceiling. When it came to food and drinks, I was lost on where all of this would be. You hear from everyone how amazing it is to have food at your fingertips just about whenever you want it. When I boarded the Disney Wonder, I had no idea where to begin. I learned that the drink stations are on the top deck area, near the pools. This makes total sense. I was very overwhelmed by what there all is to do on the ship. I am a person who quickly gets turned around what to do and where to go when I have a lot coming at me. It does feel like there is a strict schedule when you take a shorter voyage because your time is limited. If you’re like me, take a deep breath and review your navigator app or personal navigator that is dropped off at your room every day. Pick a couple of activities you’d like to experience and make plans. Again, I really think I was kind of dazed on this cruise. I really needed to take better advantage of the Oceaneer Club and Scuttle’s Cove on Castaway Cay. Which honestly, I completely forgot about Scuttle’s Cove on Castaway Cay. Our kids loved the Oceaneer Club and I probably could have taken them there more often. My son was newly potty trained and I kept panicking that he might have an accident. Helicopter-Mom moment. Give yourself some time to pack. We did pretty well in keeping up with it, but I know there was still a rushed feeling that I hear is pretty normal. If you have kids, let them enjoy the Oceaneer Club while you pack, or spend a quiet last evening ordering room service while you pack. Don’t go looking for this in the bathroom. The only plugin for the hairdryer will be on the vanity/desk in the stateroom. There are no plugins in the restrooms, except for shavers. I’m sure it is for a safety reason or limited space. Just be prepared that if you have to blow-dry your hair, it might mean waking up any other passengers that might still be asleep. I didn’t realize the ship offered a really nice backdrop for photos the evening that people had a chance to dress-up more for dinner. I wish I would have taken better advantage of this. Coming all the way from Washington State packing was tricky, but next time I want to dress up just a bit more for this evening. Speaking of backdrops and photos, I didn’t realize how many photographers roam dinners and on Castaway Cay to capture the family fun. You can retrieve, review and purchase your photos at Shutters, Disney Cruise Line’s onboard photoshop. You can also pre-order a photo package! Most of all I was not expecting to enjoy the Disney Cruise so much. I was never one who thought of a cruise as an ideal vacation selection. I’ve said it a few times that I have been proven wrong by the Disney Cruise Line. 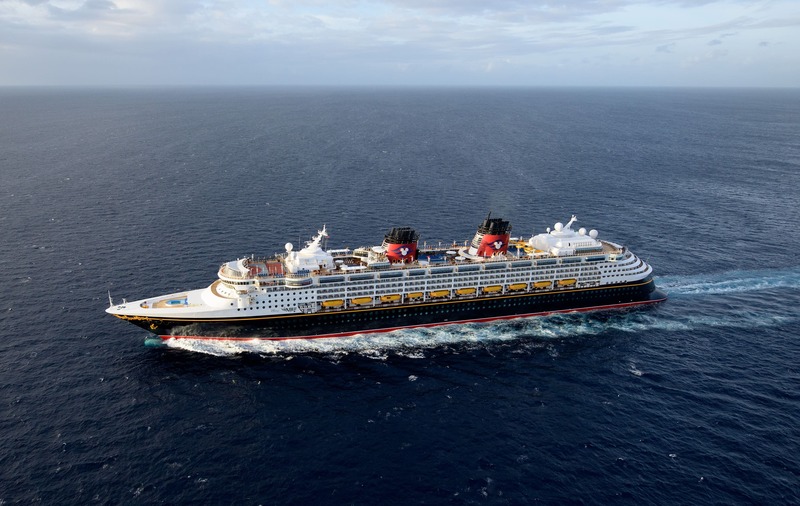 I chat more about my new found love for the Disney Cruise Line in my Why Book a Disney Cruise as a First Time Cruiser post and 10 Tips for Your First Disney Cruise. Don’t let your first time cruising overwhelm you. The next time we go, I think I want to book out a longer voyage to truly take advantage of everything. Follow more of the fun of Disney travels on my YouTube channel. You can also check out photos from our adventure on my Instagram. The biggest of thanks to the 2017 Disney Social Media Moms Celebration that we were invited to attend with a conference fee. We received discounted and complimentary items from Walt Disney World, Disney Cruise Line, and their sponsors during our stay. While not required to write about our experiences, I wanted to share with you these amazing memories. All opinions are my own.